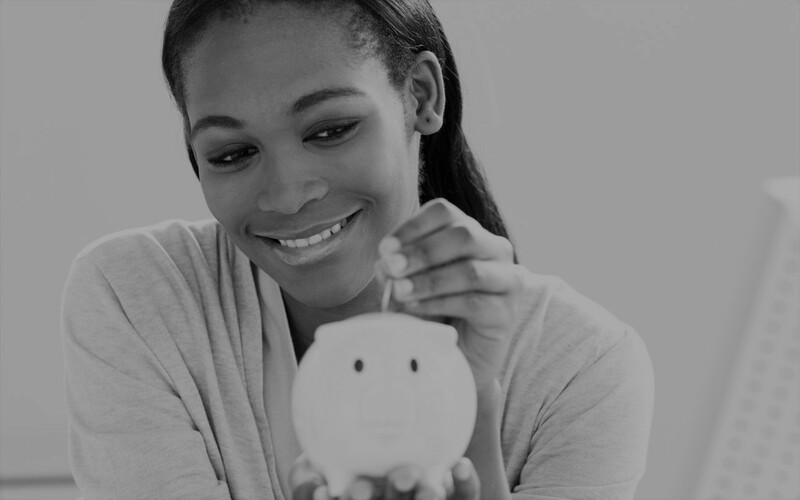 Personally, saving money has always been something that was difficult to do. Just starting to save when I had no saving to begin with, seemed like an impossible task. And just like most people I know, once I started saving—which was about 3% of my income—I never thought much about how much I was saving for a long time. There was no goal for the money except for saving the future/retirement. There were no calculations done to see if enough was being saved for the future. I never asked the question: what does saving for the future really mean? No one ever shows you how to assign a number to this mission, so it can become a more meaningful goal. So, my 3% savings rate never increased until I changed employers and the new employer’s minimum saving was 4%. For the next several years, 4% was my saving rate. Seeing that I started my career making $28,000 per year with a saving rate of 3%, I was saving $840 per year. If I had continued saving at a 3% rate, I would never get to retire. So, as I stated above I had a 4% savings rate for many years. Regardless of what my salary was, I was putting away 4%. It seemed to be the perfect system to ensure that I was saving something for my future. The only problem was that I had no way of knowing what my future needs would be, it was just too far ahead for me to comprehend. For many years, I saved aimlessly until I found the FIRE (Financial Independence Retire Early) community. It was only after finding FIRE I began to figure out how to effectively save for the future. The lessons below are two of the earliest things I learned. Lesson One – Turn the mission of saving for the future into a tangible goal. What that means is assign a monetary amount to your idea of saving. There are several ways of calculating (what the FIRE community likes to call your FI) your financial independence number. The simplest is to multiply your yearly income by 10 or 12. Another option is to multiply your monthly expenses by 12, which gives you your yearly expenses amount. Then multiply your yearly expenses amount by 25. If you are planning to pay off your home before gaining financial independence, do not include your mortgage. But be sure to include your property taxes and insurance. Now that you have this number, don’t let the size of it scare you away. Look at it as a target to aim for your future savings. Lesson Two – Automate your saving. If many of you are like me, you have a 401k that comes out of your check before you every see the money. This is the first step to painlessly saving money. Even if you are already doing this already, there are painless ways within this system that you can use to increase the percentage of your income you are saving every year. EMPLOYER POLICIES – Some employers will automatically increase your saving percentage by 1% per year, until you reach a 10% savings rate. This is an awesome policy. Of the various firms that I have worked at, only one of them had such a policy. SALARY INCREASES – Increase your saving rate as your salary goes up. This is great way to make great strives at raising your savings rate. As for me, the beginning of the year is when my employer informs me if they are going to increase my salary. So, what I recommend is that you save at least half of any salary increases and/or bonuses you may receive from your employer. So, you if you receive a 5% raise you should increase your 401k contribution by at least 2.5%. The beauty of splitting your salary increase in half is that you can improve your standard of living while increasing your savings rate to bring you closer to your financial independence number. TAXES – This year, many of us will be receiving a tax cut thanks to the new tax law. What the government wants us to do with the tax cut is to increase our spending. To “do our part in to grow the U.S. economy,” we must spend any tax saving they give us. At least that what they want us to do. As for the Broke Architect’s household, we are getting a 1% tax decrease. We have chosen to grow our personal economy by increase our savings amount by an additional 1%. Spending money because someone tell us to is not how we roll. Over the years we have used all of the above items to increase our saving. As I stated before, I started out with a 3% saving rate and over the years, I have slowly (far too slowly) increased that amount. Last year we saved 18% of our gross income; and this year we are going to save 22% of our income. That is an increase of 4% in our saving rate. To break that down, I received a 3% salary increase and a 1% tax cut. So, I got a total increase of 4% and we increased our savings rate by the same amount, 4%. I hope you many of you out there will find these ideals useful to increase your savings rate. Many people in the FIRE community save over 50% of their income. This is more achievable than you may think. But that is a topic for a future blog post. So, what is your savings goal and rate?